What is a love map, and why does it need updating? When couples first get to know each other, they have deep, intense talks, learning everything they can about one another. As they’re courting (or going through the “mate selection process,” to use the sociological jargon) they learn each other’s history, concerns, preferences, and world views, while yet undistracted by jobs, maintaining a home, childrearing, or finances. They keep a cognitive map of the relationship and its history. In his book The Seven Principles for Making Marriage Work, Dr. John Gottman calls these cognitive spaces “love maps.” Making cognitive room for the marriage involves remembering major events in each other’s history and updating this information—the love map—as the facts and feelings of your partner’s world changes. Partners with good love maps know each other intimately and are well-versed in each other’s likes and dislikes, personality quirks, hopes, and dreams. But couples don’t always update their love maps. All kinds of stresses, personal problems, and life events can intervene in a couple’s positive regard for each other, and even destroy the deep friendship that is the basis for a good marriage. Anger and resentment can create “negative sentiment override,” in which everything—every conversation, mistake, action—gets interpreted more and more negatively. By the time couples enter counseling, they have forgotten what they love about each other and have stopped keeping track of relevant information about each other, meaning their maps are out of date. When partners stop paying attention to what is important to one another and instead keep a mental scorecard of mistakes, slights, and offenses, the positive perspective turns sour. Because love maps are so important, one of the first homework assignments I suggest in couples therapy is the Love Map Exercise. For anyone old enough to remember the TV show “The Newlywed Game,” it’s the same idea. The questions are simple and fun. For instance, “Name your partner’s two closest friends,” or “What is your partner’s favorite music?” It is usually an easy assignment. Updating your love maps requires communication about your likes and dislikes, and this is true for both partners. Do you like your cherry tomatoes sliced or whole? 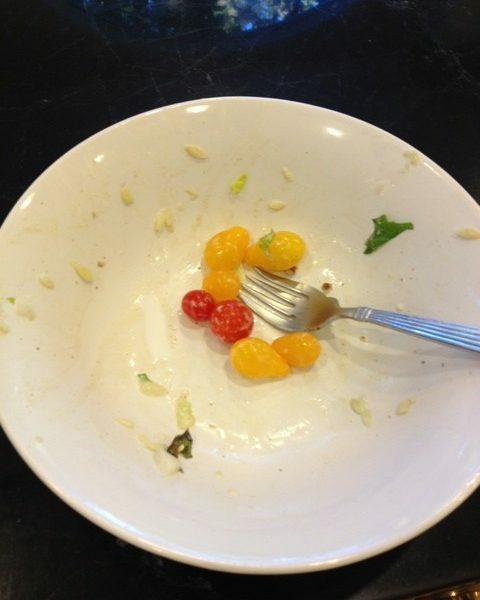 After all these years, my partner didn’t realize I don’t eat whole cherry tomatoes. But it is my responsibility to tell him this. If I don’t, he’ll keep adding them to our salads without slicing them first, and I’ll keep leaving them behind. It may sound simple, but any map needs updating to stay relevant—even if the new information is just tomatoes, tomahtoes. Gottman, John; Silver, Nan (1999). The Seven Principles for Making Marriage Work. New York, NY: Crown Publishers imprint (Three Rivers Press).